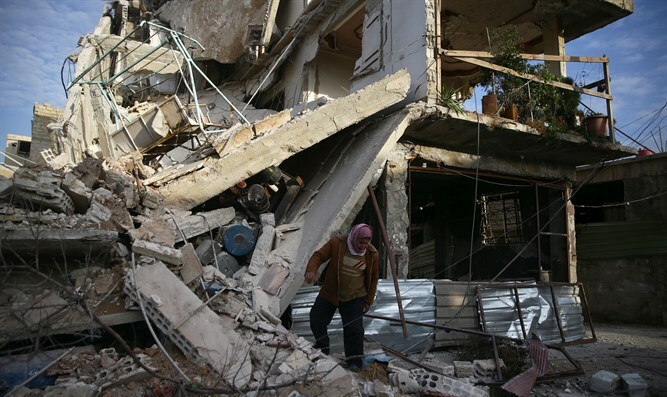 U.S. accuses Russia of bombing rebel-held area near Damascus in violation of UN ceasefire. The United States on Sunday accused Russia of complicity in the deaths of civilians in Syria‘s besieged Eastern Ghouta region, according to Reuters. It did not say whether the jets dropped ordnance, which could be harder to determine than tracking the flight paths of Russian aircraft on U.S. radar. “Russia has gone on to ignore (a UN ceasefire’s) terms and to kill innocent civilians under the false auspices of counter-terrorism operations,” the White House said in a statement quoted by Reuters. White House press secretary Sarah Huckabee Sanders in her statement called on President Bashar Al-Assad's forces to immediately halt its offensive. "The civilized world must not tolerate the Assad regime’s continued use of chemical weapons," Sanders said, referring to recent reports that the Assad government has used chemical weapons against the rebel-held areas. Earlier on Sunday, Assad stressed that the operation in the Eastern Ghouta area would continue and in parallel civilians would be allowed to leave the rebel-held area. Russia, which is a close ally of Assad, has ruled out the possibility that he would step down as part of an agreement to end the Syrian civil war. Moscow entered the Syrian conflict in late 2015, providing air support for Assad’s army. While Russia claimed its airstrikes were targeting only the jihadist Islamic State (ISIS) group, Western officials said the airstrikes also targeted Western-backed "moderate" rebel groups which Assad views as “terrorists”.